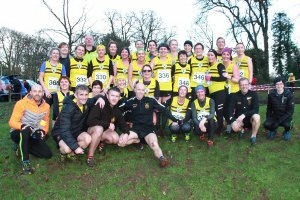 Barnett’s Demesne hosted NI & Ulster Intermediate and Masters Cross Country Championships on Saturday 26th January 2019. 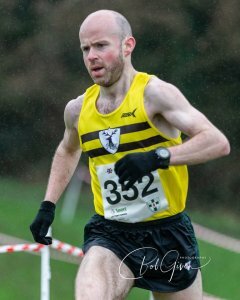 Mark McKinstry followed on from his impressive performance at last weekend’s International Cross Country leading the field from the start of the race. The weather was not kind to the runners. It was cold and wet; there was driving rain and the conditions were very muddy underfoot. But this did not deter Mark. 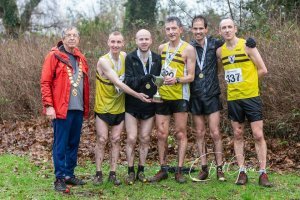 He took podium position and helped North Belfast Harriers lift the team trophy. Such was the strength that the winning team (Mark McKinstry, Eamon White, Gareth Lyons and Neil Carty) won with just 22 points bringing home the newly commissioned trophy. The weather was kinder for the Masters Women’s Race. 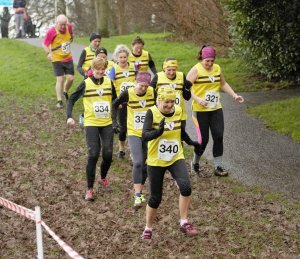 It had stopped raining by the start and the sun came out for a short time but the ground had become very muddy and slippery after the races which preceded it. Louise Smith led the women home in 17:04 followed by Sandy Carr and Lorraine Hibburt. It was very encouraging to see the large number of runners who recently ran XC for the first time at Mallusk coming back to participate in this championship event. 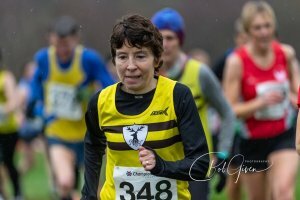 Katrina McAuley (35 age category) finished in 60th position in the Masters Women in 20:01. In the spirit of the acronym Paul Manton forgot everything and ran in the F.E.A.R.R. 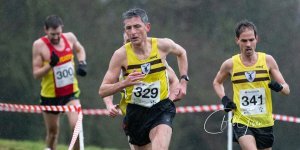 10km race in Clandeboye Estate. Running through muddy farm tracks and slipping on forest paths Paul finished 15th out of 143 finishers in 45:11. Well done indeed. Congratulations to Luke Kelly on his parkrun in the Waterworks. He finished in first position covering the course in a personal best time of 18:06. 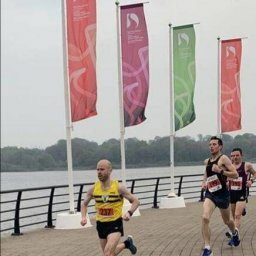 Congratulations also to Maire Jamison who had a PB in the Waterworks and to Clare Corey for her PB in Belfast Victoria. 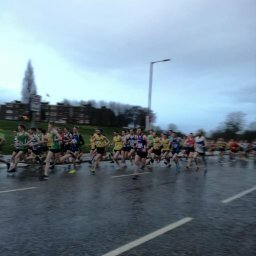 Helen Weir was first female home in Stormont in 21:42. 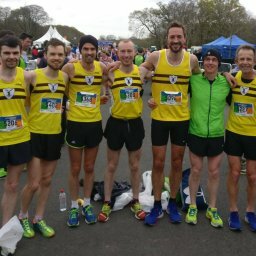 1 Luke KELLY 18:06 NEW PB! 214 Maire JAMISON 32:45 NEW PB! 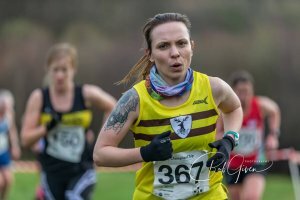 237 Clare COREY 35:16 NEW PB!